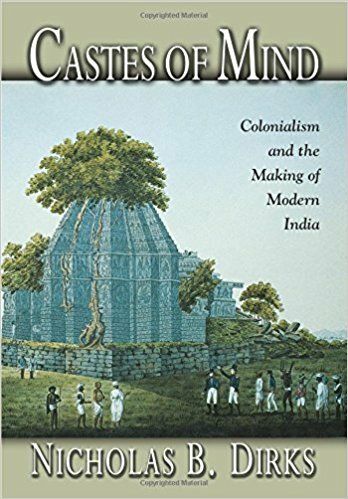 In this collection of essays and lectures, Dirks recounts his early study of kingship in India, the rise of the caste system, the emergence of English imperial interest in controlling markets and India's political regimes, and the development of a crisis in sovereignty that led to an extraordinary nationalist struggle. A fascinating and devastating account of the East India Company scandal that laid the foundation of the British Empire. Dirks explains how the substitution of imperial authority for Company rule helped erase the dirty origins of empire and justify the British presence in India. The Scandal of Empire reveals how the conquests and exploitations of the Company were critical to England’s development in the eighteenth century and beyond, and how the empire projected its own scandalous behavior onto India itself. When thinking of India, it is hard not to think of caste. In academic and common parlance alike, caste has become a central symbol for India, marking it as fundamentally different from other places while expressing its essence. Dirks argues that caste is, in fact, neither an unchanged survival of ancient India nor a single system that reflects a core cultural value. Rather than a basic expression of Indian tradition, caste is a modern phenomenon—the product of a concrete historical encounter between India and British colonial rule. At a moment when culture's traditional caretakers -- humanism, philosophy, anthropology, and the nation-state -- are undergoing crisis and mutation, this volume charts the tensions and contradictions in the development and deployment of the concept of culture. A genuinely interdisciplinary venture, In Near Ruins, under the editorship of Nicholas B. Dirks, brings together respected writers from the fields of history, anthropology, literary criticism, and communications. Together their essays present an intriguing picture of "culture" at the edges of humanism, of the politics of critical inquiry amid current social transformations, and of the status and practice of historical knowledge in an age of theory. This important volume of essays draws from leading scholarship by historians, anthropologists, and cultural critics to demonstrate the cultural significance of colonial rule, from South and Southeast Asia to the Middle East and Latin America. 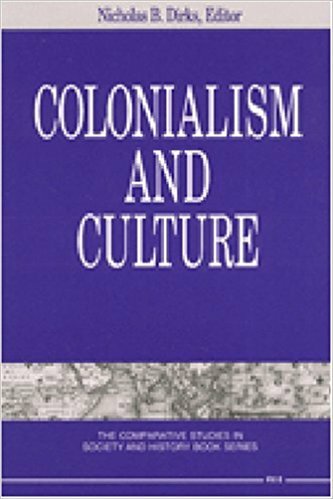 Introduced by the powerful framing argument of the editor, Nicholas Dirks, the book explores the multifaceted nature and effects of colonialism in the large domain of culture, demonstrating the extent to which colonialism was a cultural as much as it was a political and economic project of rule. Ranging from the literature of exploration and discovery, the inquisition, parliamentary inquiries into colonial brutality, the law, colonial exhibitions, regulations about the intermixing of races, and contemporary historiography, this book has had extraordinary influence over scholarship in colonial studies for many years. A pioneering piece of ethnohistory, The Hollow Crown uses a variety of interdisciplinary means to reconstruct the sociocultural history of a warrior polity in south India between the fourteenth and the twentieth centuries. In reconstructing the history of the polity that eventually became the colonial princely state of Pudukkottai, Dirks therefore raises a series of issues concerning the methodologies of history and anthropology, the character of Tamil kingship and social organization, the relationship between politics and ritual, the impact of colonialism and 'modernization', and the dynamics of the whole last millennium of south Indian history.